Simple, amari-based concoction is a favorite at Seattle cocktail haven Canon. You would think a chemistry set rather than a shaker would be required to duplicate cocktail bar Canon’s concoctions, what with all the hocus-pocus and smoky shenanigans at this most molecular of mixology temples. But do you know what has been a crowd-pleaser at Canon? The Italian Buck, a simple four-ingredient drink that you can easily make at home. It’s the cocktail I suggest when readers email me about what drink to whip up for a dinner party, and one that has made several encore appearances over the years on Canon’s award-winning cocktail menu. Outside of cocktail geeks, many can’t place the flavor profile of the Italian Buck because the base spirit isn’t as familiar as whiskey or gin. This brilliant cocktail, by Canon owner Jamie Boudreau, mixes two amari — the vegetal, artichoke-based Italian liqueur Cynar and the zesty-orange Montenegro — with some fresh-squeezed lime juice to cut the bitterness, topped with ginger beer for some fizz. If you make just one cocktail for your party, especially for guests you don’t know well, you don’t want that cocktail to resemble a Manhattan. As any veteran bartender will advise, the mainstream palate doesn’t gravitate toward boozy, bitter drinks. The Italian Buck is your happy medium. The drink isn’t sweet, and yet it goes down easy. It’s pleasantly bittersweet and citrusy. 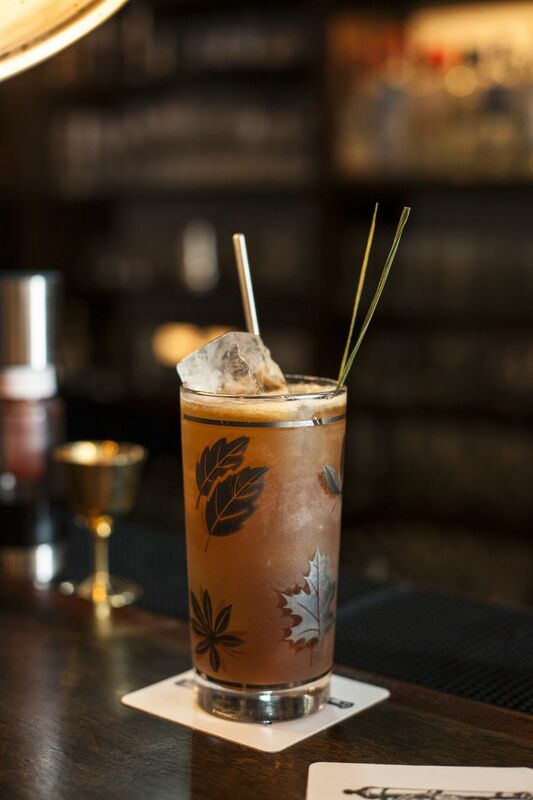 Some guests guess that it’s a spicy rum concoction with the DNA of a Dark and Stormy. Others think this is a Moscow Mule on steroids. At any rate, it’s a conversation starter. Pour the first three ingredients in shaker with ice and shake until chill. Strain into Collins glass filled with fresh ice (not the ice you used in the shaker). Top off with ginger beer. Lime-wheel garnish optional. *Ginger ale is not the same thing as ginger beer.